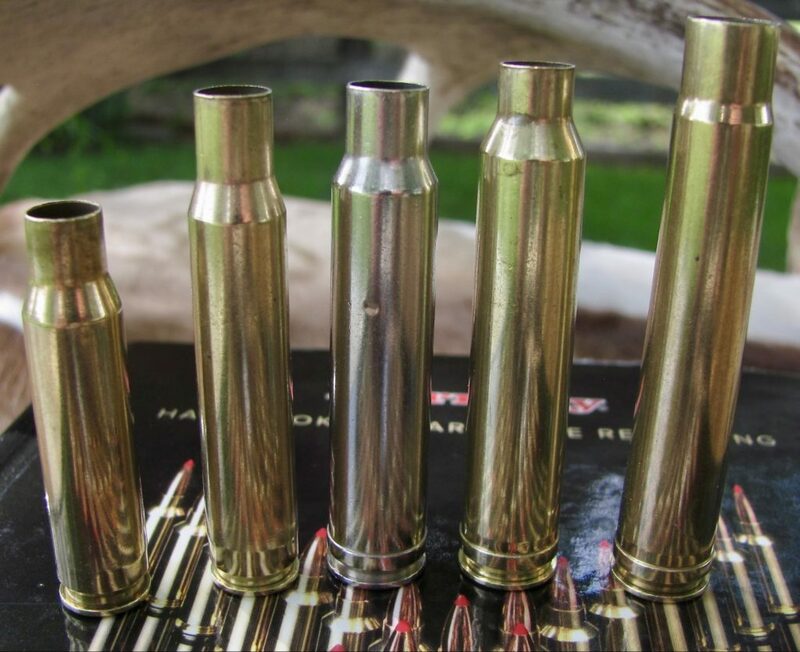 If you are looking for a cartridge that will cover your hunting needs from Alaska to Zimbabwe, look no further than the .300 Winchester Magnum. Since 1963 hunters, target shooters, snipers, and law enforcement personnel have depended on Winchester’s Big 30 to deliver results. Fire up your computer and search for “best long-range hunting cartridge” or “best all-around magnum cartridge” and you’ll be sure to find the .300 Win Mag in the top 10 of every list you find. The .300 delivers accuracy, terminal performance and consistent results in rifles built on standard length actions. Simply put, you can load a whole lot of performance in an action the same length as your 30-06. Once you’re done here, you’ll know exactly how the .300 Win Mag came to be, what role it fills, and what our top recommendations are for hunting and long-range ammo, and even some of our favorite rifles to shoot them in. The .300 Winchester Magnum came along in 1963, quite a bit later than the 300 Weatherby which was introduced in 1944 and the 308 Norma Magnum which showed up around 1960. Winchester took their 338 Win Mag case and bumped the shoulder forward a bit and lengthened the case a bit to develop the 300. If we reach back even further we find that the lineage of this great cartridge can be traced to the 375 H&H Magnum. The case was simply blown out to have less taper, shortened and necked down to accept the 30 caliber bullet. 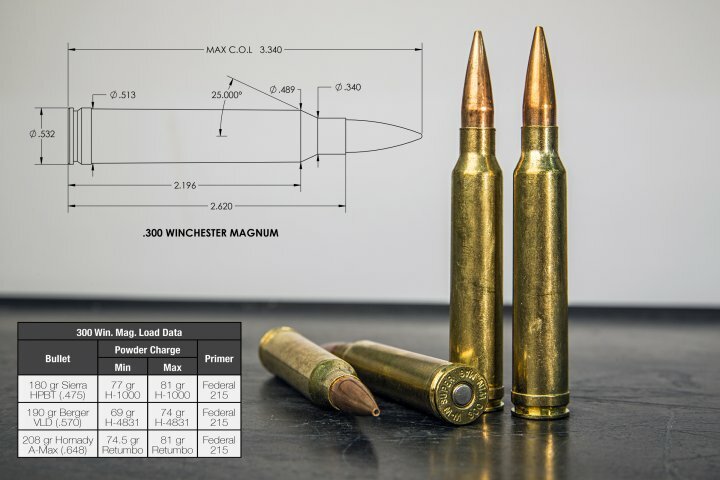 So why has the 300 Win Mag outlasted and outshined other great 30 caliber magnums like the 308 Norma Magnum and the 300 H&H Magnum? 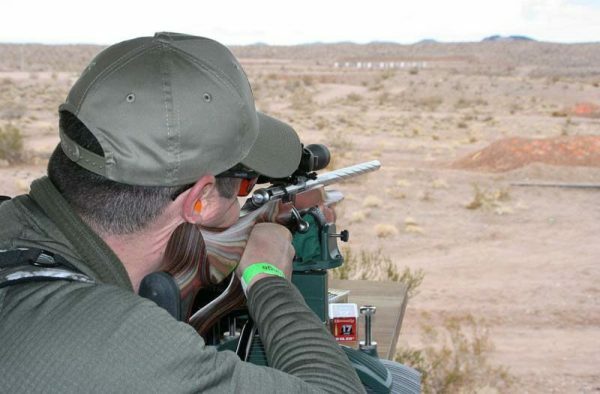 Well, a great cartridge requires a great rifle – Winchester’s Model 70 fit that role. 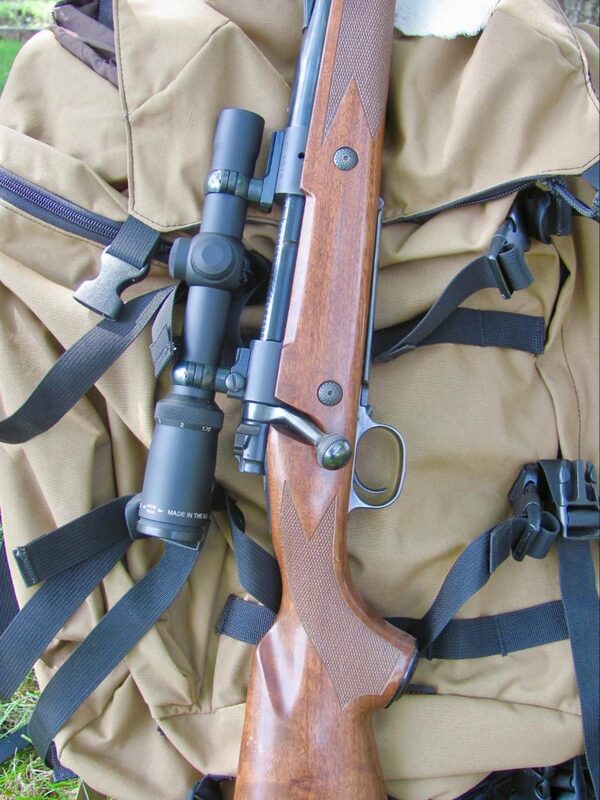 The rifle had already gained a loyal following and the 300 Win Mag offered a level of performance not seen in other Winchester rifles. Other manufacturers followed suit and built rifles to house the Big 30. Though we see lots of 300 Weatherby’s, the huge 30-378 Weatherby and the 300 Remington Ultra Mag, none can be chambered in a compact standard length action. With the 30 calibers being the most popular in North America, there are a wide variety of bullet types and weights available in factory loaded ammo and even more choices available to the handloader. A quick look at the Hornady catalog reveals 19 different factory-loaded options with bullets ranging from 150 grains to 200 grains. Likewise, Hornady supplies the handloader with 30 caliber bullets from 110 grains to 225 grains and data for each in the Tenth Edition reloading manual. Federal catalogs 18 factory options with bullets weighing 150 to 200 grains. The Nosler Reloading Guide Number Four lists handload data for bullets ranging from 125 grains to 220 grains. As you can see, with the wide variety of bullets and loads available, the 300 Win Mag can literally do and be anything you want. Who Needs a .300 Win Mag? The popularity of the 300 Win Mag has been driven mostly by hunters. Those who pursue big game such as elk, moose and large African plains game are well-served with the power the 300 delivers. When you are planning on hunting big game, most often there is a fairly big price tag attached that includes not only dollars but your time as well. 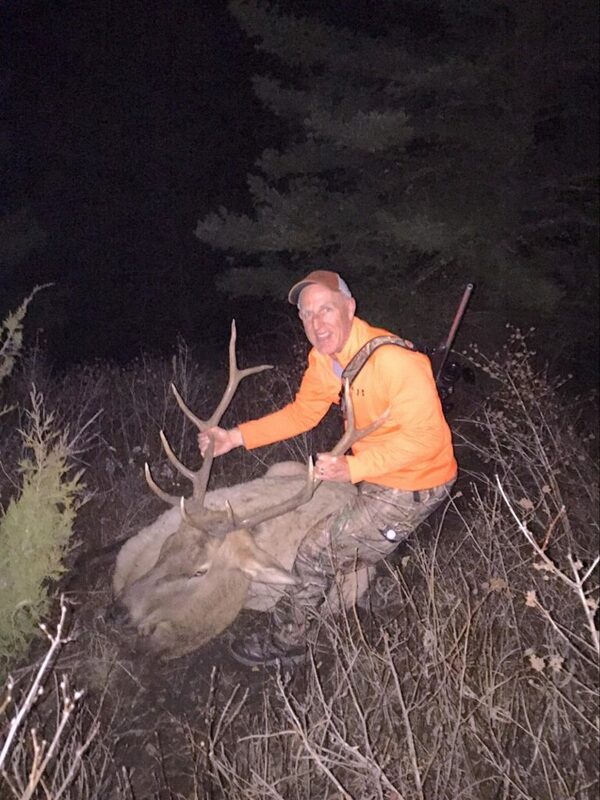 You want a rifle and cartridge that can be counted on to make that shot of a lifetime on a big elk or trophy kudu. For the most part, big game is taken at fairly close range. However, when that six-point bull gives you a brief look on the last day of a mountain hunt and he’s 450 yards away at the edge of a meadow, having a 300 Win Mag in hand helps even the playing field a bit. What you’re carrying could be the difference in going home with a freezer full of meat and a set of trophy antlers or having to pass on the shot. Your 30-06 can make the shot, but the 300 Win Mag offers over 400 foot-pounds more energy with a 180-grain bullet at that 400-yard plus bull elk. I’d rather have more energy than less. The 180-grain bullet is probably the go-to for most big game hunting. It offers a nice balance of velocity and power. 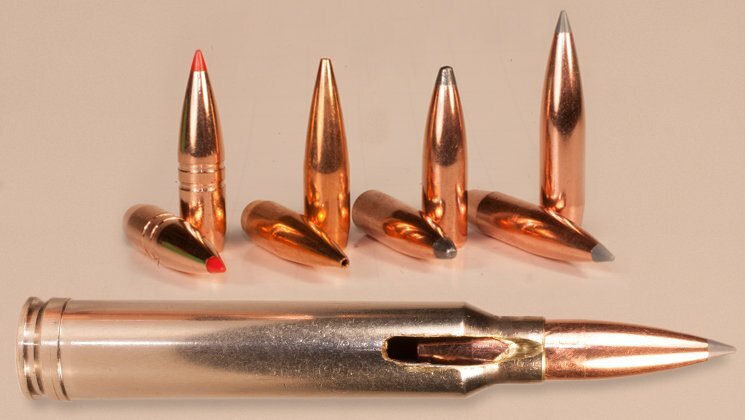 With today’s choices in bullet construction something like a 180 grain Hornady GMX gives you a monolithic bullet with a BC (ballistic coefficient) of .485. The higher the BC, the better the bullet overcomes the environment it is flying through. In short, you have less drop and wind deflection at a given yardage than a bullet with a lower BC. With 165-grain bullets, you can start them at around 3000-3100 feet per second. If you are hunting sheep or coues whitetail where shots are often long and the game is not all that difficult to kill with well-placed shots, the 165 gives you a bit of an edge with regards to a “flatter” trajectory. What do you think of the .300 Win Mag so far? 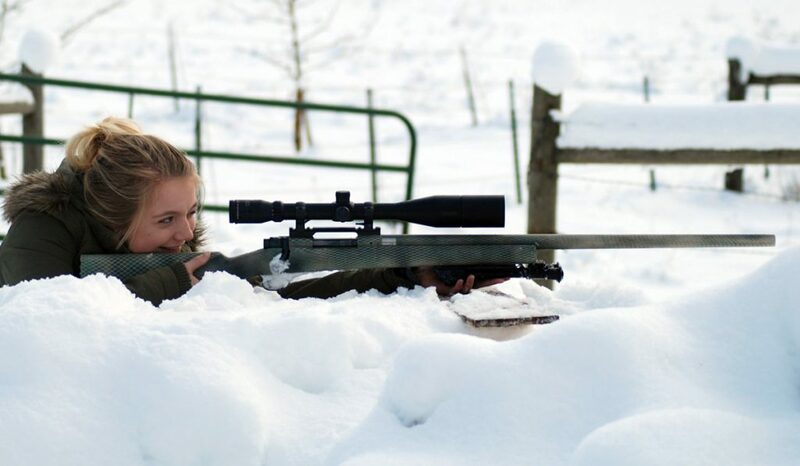 Let’s step out of the hunting world and into the realm of long-range shooting. I do not advocate taking game at extreme ranges unless you have the rifle platform, optics and range time to consistently make first round hits with hunting-style bullets at your maximum effective range. That means lots of range time and lots of trigger time. Just because you can bang steel at 1000 yards from a bench or prone, doesn’t mean you should be shooting at game animals at that range. That being said, the 300 Win Mag shines as a long-range cartridge. With the high-BC heavy bullets available today, making hits at far away targets is possible. Take something like a Hornady 208 grain ELD-Match with a BC of .670. 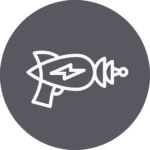 That aerodynamic bullet and heavyweight allow the bullet to achieve a very flat trajectory. Starting at 2800 feet per second you will see only a 49-inch drop over 500 yards with 2148 foot-pounds of energy. Your drop will be 470 inches at 1200 yards and you will have 939-foot-pounds of energy. Now compare that to your 180-grain hunting bullet. At 500 yards you will be 49 inches low and have 1625 foot pounds of energy left, but at 1200 yards you are now 560 inches low and at 530 foot pounds. Hopefully, this helps illustrate the power of BC and what big, heavy bullets can do for the long-range shooter. In 2009 the U.S. government purchased match grade ammunition for use in its M24 Sniper Weapon System. The load consists of 220 grain Sierra MatchKing Hollow Point Boat Tail Very Low Drag bullets fired at 2850 feet per second. With this load, the 300 Win Mag becomes effective for military engagement out to 1500 yards. That’s just 260 yards short of a mile! We’ve looked at performance in the hunting field and at the target range. There is no doubt the 300 Win Mag can accel in both arenas. But what kind of ammo should you be looking for to feed your 300? 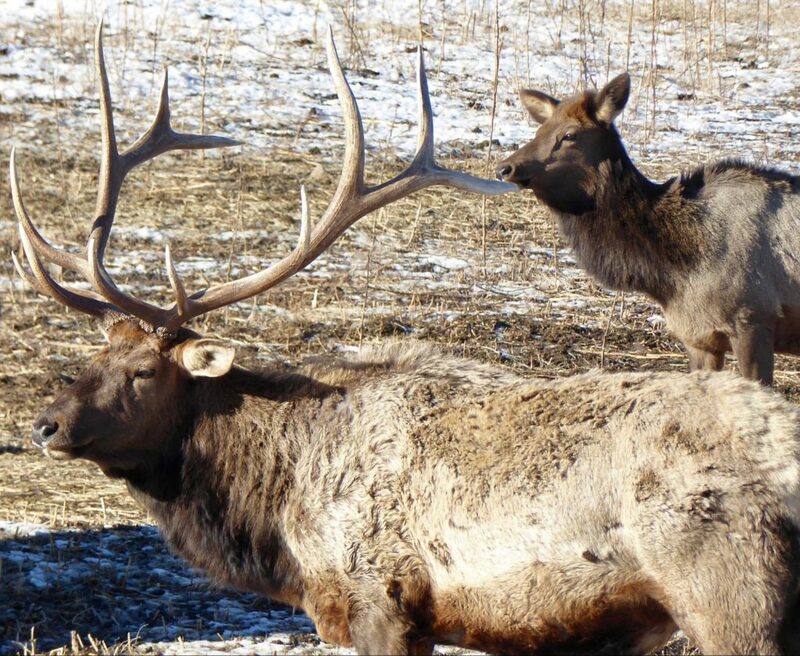 Let’s begin by looking at some solid choices for hunting big game. As mentioned above, I believe the round is best suited to 180-grain bullets for big game. You have a great balance of aerodynamic performance and terminal energy on your intended target. Here are some solid choices for your hunting needs. A great choice with a 1-piece copper bullet that boasts 100-200 fps more velocity using specially blended powders and 95% weight retention. The Interbond is a solid lead core bonded to a heavy copper jacket that expands evenly and stays together for deep penetration in the toughest big game. The Nosler Accubond bullet is lead-core bullet bonded to a copper jacket to eliminate any separation. With a boat-tail and a polymer tip the Accubond is a great combination of accuracy and terminal performance. The Sierra MatchKing bullets are known for record-setting accuracy. The Federal load with a 190 grain Boat Tail Hollow Point is meant as a target shooting round. If you want to squeeze all the accuracy you can out of your 300 Win Mag, give the MatchKing a try. This is by no means an exhaustive list of factory-loaded ammo available. Like the number of guns in the Cabela’s catalog, the choices of available 300 Win Mag ammo at Brownells numbers over 50. With a modern rifle and optics, you are sure to find a factory load that your rifle favors for hunting or long-range shooting. Like I’ve said before, there is no better time than now for the shooter. There are so many great guns at every price-point that you should be able to find a 300 Win Mag that suits you. Checking in over at Cabela’s the 300 Win Mag has 50 listings in the catalog. That speaks to the popularity of this fine cartridge. You will find entry level guns like the Remington Model 783 with scope combo that can get you hunting for as little as $339. Or you can step up, get out the checkbook and get yourself a Seekins Precision Havak for $2,900. Will the Seekins shoot better than the Model 783? Who’s to say. Find the rifle that fits your needs and your budget and hit the range! Hopefully, you’ve learned a little about the grand .300 Winchester Magnum. The only real downside to the cartridge is its voracious appetite for powder. For a normal 180-grain hunting load you’ll be burning about 70 grains of powder as compared to the 55 grains you light off in your 30-06. And with powder consumption comes recoil. You will experience about 30% more recoil than your 30-06 delivers. Some folks with this level of recoil preclude accurate shooting. Some of the shoulder bashings can be mitigated with a good brake. If I was going to put together a 300 Winchester Magnum for hunting I’d look very seriously at the Tikka T3x. It comes in at 6.5 pounds and with a scope and brake installed would be around 7.5 pounds which makes for a very handy mountain rifle. I know my Tikka in 308 Winchester will shoot sub-MOA groups all day long and I wouldn’t expect any less of the rifles in 300 Win Mag. While we don’t have a full review on the Tikka T3x Lite right now, one will be coming very soon! Sneek preview though, we love it. But, be sure to double up on your hearing protection, because a braked .300 Win Mag is loud, especially to anyone on the range beside you. Tell us in the comments about your experience with the .300 Winchester Magnum and what loads have worked for you! Also, taken any big game with it? Check out our Editor’s Picks for our favorite other rifles and gear. I agree with you on the Tikka! I absolutely love my T3x in .270 Win for deer out here in California. Thanks for the info on the limb saver – we’ll be reviewing a Howa 1500 in .300 Win Mag soon and I’ve been looking for ways to make .300 Win Mag a little less teeth shattering. Tikka rifles are awesome! The new T3 series now has a metallic bolt shroud and steel recoil lug. They must have actually listened to their customers about the most requested upgrades. When you roll your own the 300wm is pure magic and voodoo.